One of the many things that I miss having a baby is the special bonding that a mom and baby have during nursing time or breastfeeding. I breastfed both of my children until they were two years old. You will probably raise your eyebrows because that's a very long time but I enjoyed it as much as my kids enjoyed it. I believe that breastfeeding helped my kids in growing up healthy. I did not know back then that there is a nursing pillow that you can buy. I have recently seen the Mombo from Comfort & Harmony on Facebook when I was flipping through pages. 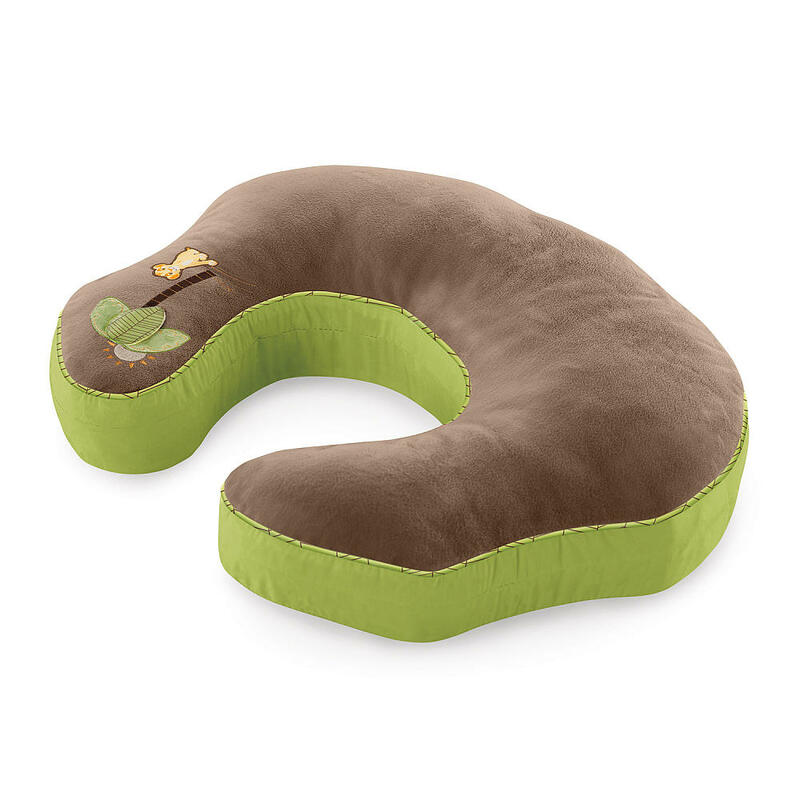 Mombo is a nursing pillow that will bring you and your baby closer together. It has a unique Firm2Soft which is designed for better nursing support and positioning. It also features the soothing vibration for lounging so you'll have extra comfort when nursing your baby. Comfort and Harmony does not only provide nursing pillows but also products such as swing, bouncers, rockers, seat covers, and more. You can buy their products at Toys R Us and Babies R Us. To get connected with the company and get updated with their latest innovations, please follow Comfort & Harmony on Twitter or like their Facebook book through the link I have provided above. Here is a photo of me and my son when he was just a month old. He is now 6 years old, a healthy and fine young boy. Sometimes, when I tell my kids about our bonding when they were babies, they would always give me hugs and kisses! I breatfed 3 of my children and would not trade the experience for anything. I encouraged all of them to do the same. aawww! that's what i've missed too and their movements when they were still in my tummy. Unfortunately, can't have babies anymore. Nursing pillow are nice to have when you breastfeed your kids. I also breastfed my two boys and I used nursing pillows to support my arm and that my baby will latch properly to my breast. Cute picture you have here sis. I breastfed my only daughter and that was one of the greatest bonding moment in my mommyhood! The first time we bonded was when my OB-Gyne placed her on top of my chest after delivering her. It was something I can recall very vividly with all the details.